As well as developing new marketing opportunities for our members, we also specialise in the management and delivery of tourism related projects for the region. These include business development and networking, marketing and promotion, and digital marketing including website builds, database management, events marketing and campaign management. We’re thrilled that our expression of interest for a new funded integrated marketing campaign was accepted by Visit Wales at the tail-end of 2018, and we’ve been invited to submit a full proposal in 2019. Each project is funded on merit and nothing is guaranteed, but we hope the fantastic results from our live streaming and the support we have from you as tourism businesses will go some way to strengthening our case. We hope you’ll be hearing lots more about our ‘This is Mid Wales’ campaign in 2019. We’re also planning an innovative live streaming event on March 1st with opportunities for all businesses to participate. 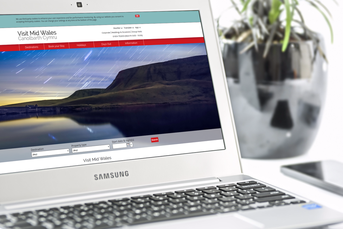 This project was given a kick start with funding by Visit Wales in 2018, and there are still opportunities for businesses to get involved throughout 2019 and beyond by adopting the new visual signature for Mid Wales and engaging with us on social media. Click here for more information about Real Mid Wales. A re-cap on 2018 - it was a busy year! Live streaming took place at four locations on four consecutive days in October: Lake Vyrnwy, Ynys-hir RSPB reserve, Blaenhafren Falls in Hafren Forest, and Mwnt Beach. Eight hours of live video per day was streamed straight onto Visit Mid Wales’ You Tube and Facebook channels. Visit Wales and other project partners e.g. National Trust Wales, National Resources Wales and RSPB Cymru, plus supporters including Lake Vyrnwy Hotel & Spa, Mid Wales My Way and Wales Coast Path also live streamed the footage. The aim of the project was to immerse potential visitors in Mid Wales direct from their desk/phone. No actors, retouching, editing or special effects. Overall stream results were fantastic. Real Ceredigion Experiences - the aims of this project were to deliver a pilot programme of activity, including research and workshops, and to develop a network of exemplar businesses to showcase real benefits gained by adopting new ways of working and selling online. A new starter guide for 'Improving Digital Sales' is currently in production and will be available for businesses soon. 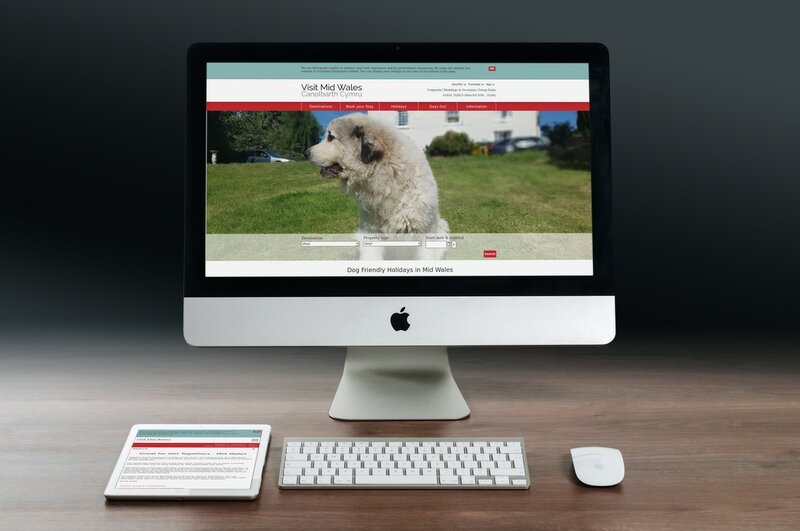 Online Development - work is ongoing to ensure our two high profile visitor-facing websites, www.showmewales.co.uk and www.visitmidwales.co.uk are at the top of their game. These sites generated over 1 million unique visitors and 5 million page views in 2018. Read more about improvements made to these websites. Great Days Out in Mid & West Coast Wales promotion - our Mid Wales browser, map and app advertising package is a central plank of our destination marketing activity. MWT Cymru was the lead body on the Mid Wales Media Hub project; working closely with a partnership of county council tourism departments (Ceredigion and Powys), and destination partnerships. The project was funded by Visit Wales Regional Tourism Engagement Funding until March 31, 2017 and was all about supporting collaborative PR and media activity across four Mid Wales destinations. These were Ceredigion-Cardigan Bay, Dyfi Biosphere, Cambrian Mountains and Mid and North Powys. Much of the content generated by The Mid Wales Media Hub including social media and YouTube videos can now be found here, and is used as a resource by members of MWT Cymru and others. The aim of this project was to generate a step-change in how visitors travel to and around the Mid Wales area, enabling and encouraging visitors to make greater use of low impact travel options. Delivered in partnership with Dyfi Biosphere, MWT developed a new travel brand and toolkit to provide businesses and organisations with help to incorporate travel options within their own marketing. The Wales Trails project was aimed at encouraging visitors to explore Wales car-free. The Wales Trails app can be downloaded from the App Store and features the Wales Coastal Path, national walking and cycling routes and scenic trails all linking to things to do and places to visit.